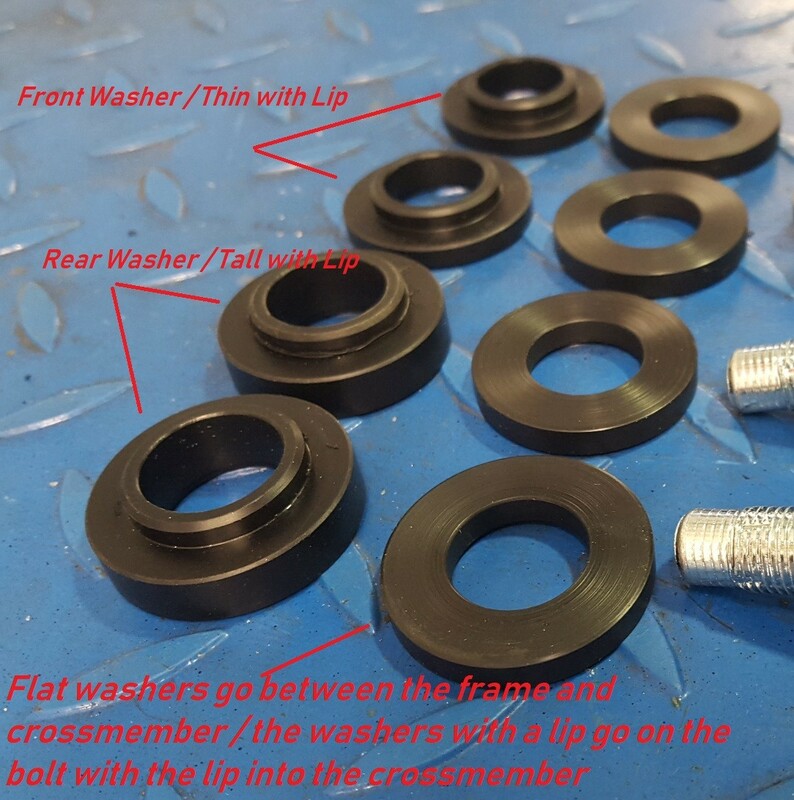 Replace the old, worn out rubber OEM crossmember bushings with 2 piece delrin bushings from 2JR. Installed between the crossmember and chassis, at all four attachment points. Delrin absorbs some of the motor vibrations for a smoother ride. Zero flex, holds the motor solidly in place.